Sizemore beat out highly regarded prospect Jackie Bradley Jr. for the starting job. 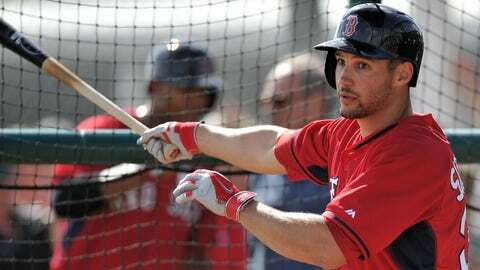 FORT MYERS, Fla. (AP) — Grady Sizemore’s long journey back from a series of injuries that almost ended his promising career is complete: He will be the Boston Red Sox’s starting center fielder on opening day. "It’s very exciting," Sizemore said Friday. "It’s been a long road for me and I’m happy to keep moving forward and to be in this position for this team." Anyone who watched Sizemore during his All-Star years in Cleveland knows what the 31-year-old outfielder is capable of when healthy. "This is one of those situations where the game was taken away from a player and now that it’s back in his reach, that appreciation is only going to grow," Farrell said. "There’s a greater appreciation that I think any player goes through when they’re able to attain that level again. "He hasn’t had any push back with the repetition and the volume in spring training, saying his body can’t take it," Farrell added. "We have had a cautious level of optimism with each passing day." Entering spring training, the Red Sox were not sure what to expect from Sizemore. But he’s passed every marker. What’s left is to see how he holds up during the rigors of a full season. Before his injuries, Sizemore was one of baseball’s most dynamic players. 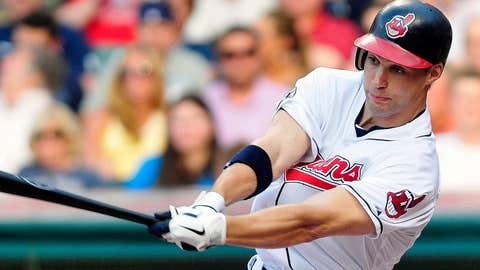 He hit 20 or more home runs with 20 or more stolen bases in each of his first four full seasons, from 2005-08, the most 20-20 seasons in Indians history. "As far as the durability question, we answered it as best we could given the number of spring training games," Farrell said. "He will still be on a progression in the month of April where there’s a prescribed number of games played and there’s a progression to that. It’s premature to give you an exact number of games per week. But we’re working toward an everyday status." Sizemore was a third-round pick of the Montreal Expos in 2000 before being acquired in a six-player deal by Cleveland in 2002 when Farrell was the Indians’ director of player development. Before his injuries, Sizemore was one of baseball’s most dynamic players. A left-handed batter, he hit 20 or more home runs with 20 or more stolen bases in each of his first four full seasons, from 2005-08, the most 20-20 seasons in Indians history. The only other players ever to record three 20-20 seasons within their first four big league seasons are Darryl Strawberry (1984-86) and Bobby Bonds (1969-71). "I didn’t think it was over," he said. "I just didn’t know if I’d ever get back to feeling healthy. It wasn’t really a matter of playing baseball. It was the little things like being able to run. It was one of those things where you’re just trying to find answers." "It’s nice to have some positive news," Sizemore said. "In the last couple of years everything’s been so negative. It’s almost hard to realize what’s going on. Hard to sink in."